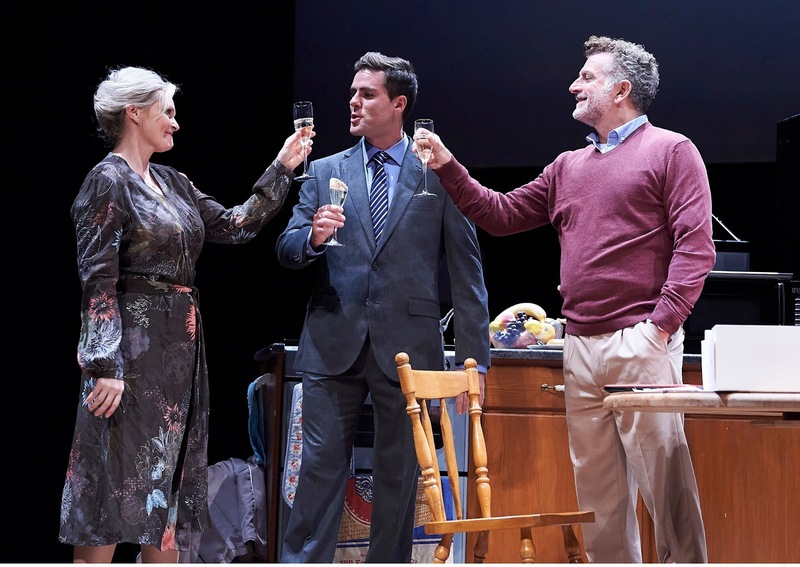 It's fitting that this touring production of Still Alice should arrive at Richmond just in time for World Alzheimer's Day on the 21st September. Adapted from Lisa Genova's best selling novel (which also became an Oscar-winning film starring Julianne Moore), it follows Harvard professor Alice as she's diagnosed with early onset Alzheimer's. This is a heavily edited adaptation from Christine Mary Dunford. With a running time of an hour and a half (with thankfully no interval to break up the emotional intensity), there's plenty of cut material from small details to whole characters. As such, the narrative plays out in short scenes and fragments - perhaps a choice to reflect the small snippets of Alice's memory, but it doesn't quite flow together. Early on it feels cold and clinical, though it soon settles into a more emotional rhythm. What's also missing is the life of a linguistics professor that Alice is forced to give up, so heartbreakingly portrayed in the novel. Instead, this shifts focus to the impact of her illness on her immediate family. Her son Thomas (Mark Armstrong) struggles to modify his life; daughter Lydia (an accomplished turn from Ruth Ollman) is more patient, their mother-daughter relationship becoming paradoxically closer as Alice's condition worsens. Her husband (Martin Marquez), meanwhile, is too consumed with his own career, or perhaps he's simply burying his head in the sand. 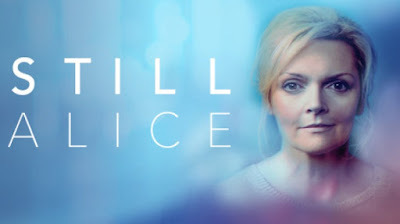 As Alice, Sharon Small gives an emotional, deeply affecting performance. 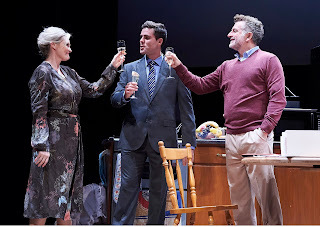 The most important relationship in the play, though, is the one between Alice and herself - played literally by Eva Pope. There are some truly touching moments between the two women: a gentle stroke of the face, a protective arm around a shoulder. Alice's reliance on a self that soon will no longer exist is at the tragic core of the narrative, though this separation of character does rob her of the strength and determination to succeed in spite of her illness that makes her such an endearing character. It's an overtly theatrical device, lacking in naturalism. Alice's condition is best conveyed in Jonathan Fensom's design, with a stage that gradually empties. What was once cluttered, chaotic, yet full of life becomes empty, sparse and bleak - a devastating visual metaphor. In the centre of it all she remains, still Alice. 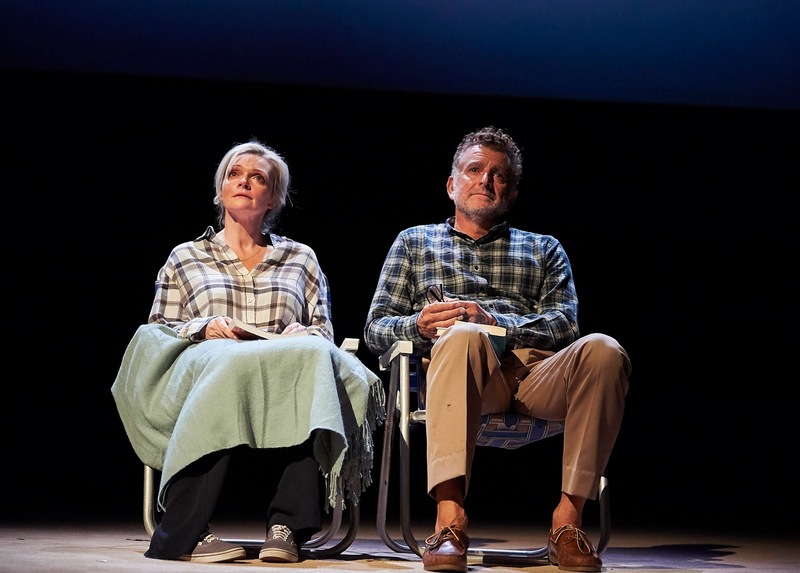 Watch: Still Alice is touring the UK until 24th November.